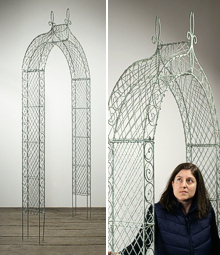 The origin of the word gazebo is unknown, possibly a combination of 'gaze', with a latin derived ending. 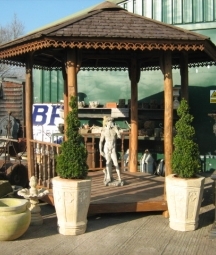 Pavilions, belvederes, follies, pergolas and rotundas all fit within the general umbrella term of gazebo, which is essentially a structure, usually round or octagonal with open views of the surroundings. 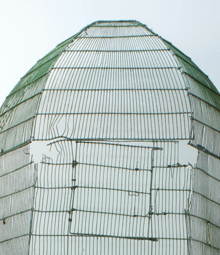 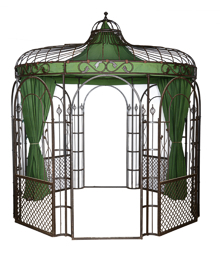 Gazebos were popular in the 19th Century and were constructed in many styles and in varied materials, from Chinese influenced latticework and copper roofs, to rustic intertwined wood branch construction. 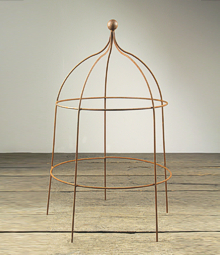 Many of the more important Victorian iron foundries produced a range of ornate cast iron 'bandstand' style gazebos, which can still be seen in many public parks. 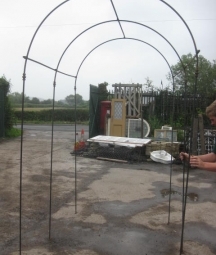 Original complete gazebos are rare to find, but we usually have a range of quality reproduction gazebos in timber and metal. 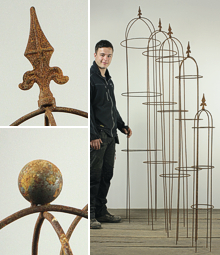 Some clients prefer to build their own take on a garden room, using reclaimed components sourced from us. 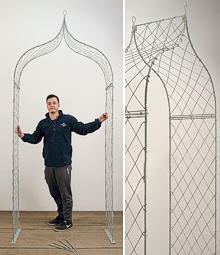 Garden arches also have a long history, possibly dating back to Roman times when arches were planted with vines. 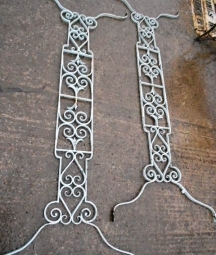 The Edwardians were very fond of rose arches, usually quite simple affairs in wrought iron, often interconnected to make a long colonnade. 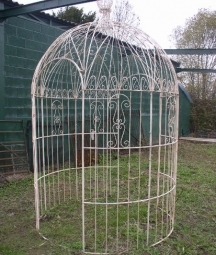 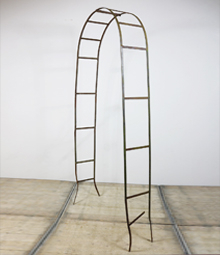 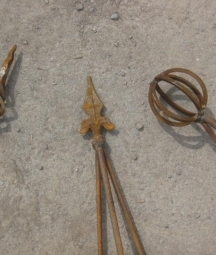 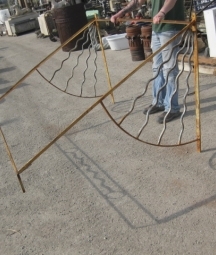 We sell a wide range of newly made wrought iron and wirework garden arches, with an occasional original antique piece. 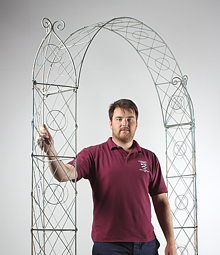 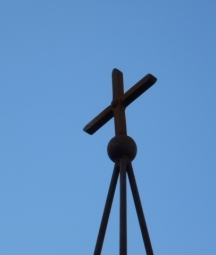 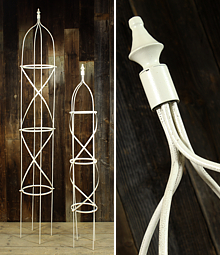 Also included in this category are other garden structures, such as obelisks, plant supports and colonnades.